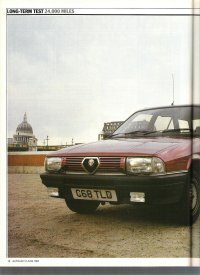 The Alfa Romeo 33 and Alfasud magazine article page. 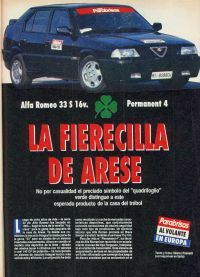 Technical review and test of the Alfa Romeo 33 P4, in Spanish. 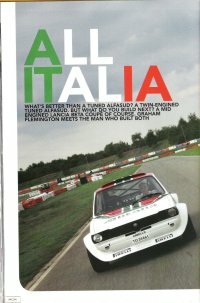 Practical Performance Car article on the Alfa Romeo 33. 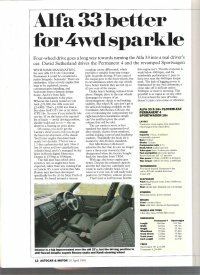 Autocars longterm (24,000mile) review of the Alfa Romeo 33 4x4 Sportwagon. 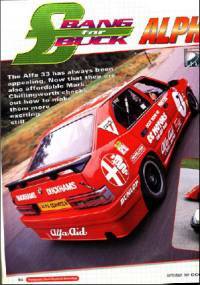 Autocars quick review of the arrival of the series 3 Alfa Romeo 33. 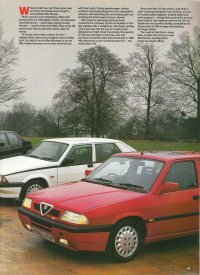 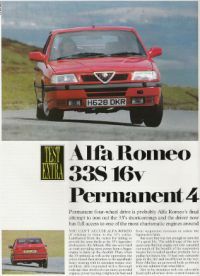 Performance Car review of the 1994 Alfa Romeo range including the 33 and 75. 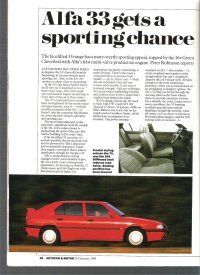 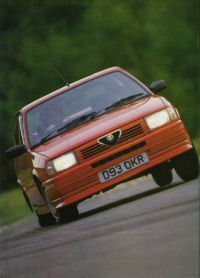 Practical Performance Car article on a home built twin engined Alfasud. 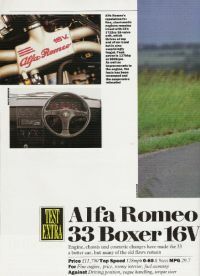 with the 1.7 16v engine.